The Chameleon, 30 May 1831. 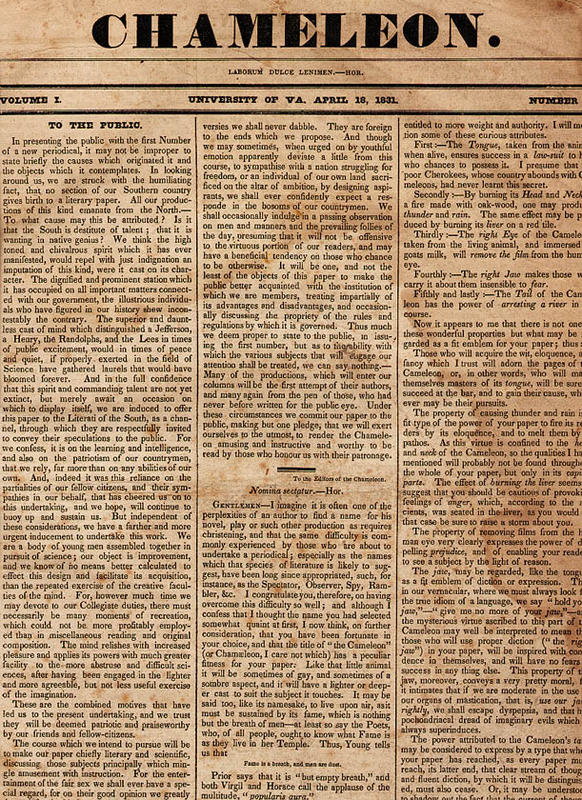 Issued in 1831, The Chameleon was the first student newspaper at the University of Virginia. Neither the Board of Visitors nor faculty members were receptive to the idea of a student-run newspaper, fearing that it would "impede the performance of duty and the purposes of a liberal education." Yellow Journal, 29 November 1934. When it was first anonymously published in 1920, Ye Yellow Journal created a stir among the faculty and administration for its satirical approach regarding prominent members of the University community and was denounced by some students as being "inconsistent with the ideals and traditions of the University of Virginia." 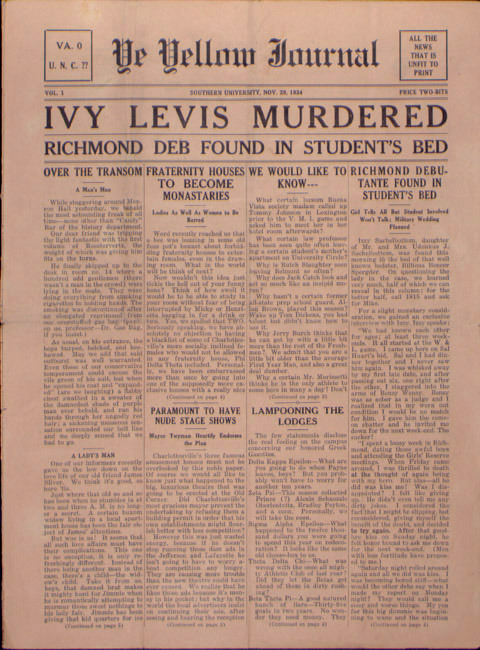 Shortly after its discontinuation in 1934, the University's Administrative Council set forth an order forbidding "the publication or sale of any anonymous paper, and [we] desire to record our unanimous condemnation of the recent number of the Yellow Journal as scurrilous and indecent in the extreme."